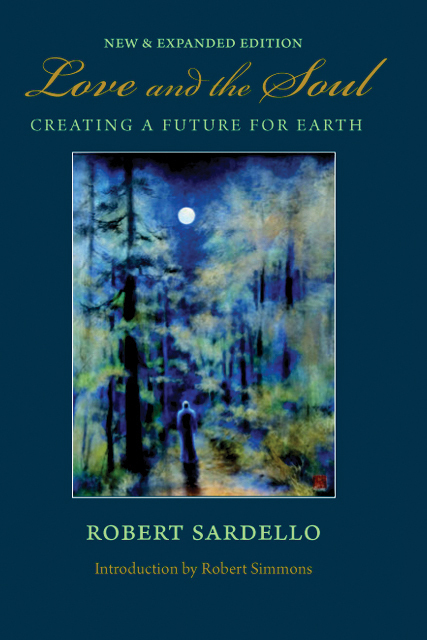 Robert Sardello: "Love and the Soul"
Home > Books, CDs & DVDs > Robert Sardello: "Love and the Soul"
Love and the Soul is an immensely significant work in the field of depth psychology. Sardello maintains that to truly speak objectively about soul and the world, we must enter into the creative processes which they are. It is in the creative process that we can find, through sensing the creating activity of our own ‘I’, the link between ourselves and the world. How refreshing to read a sophisticated work in the field of psychology that earns that distinction by leaving theories, abstractions and in-bred language systems at the door. Like any truly improvisational art, Sardello is not content to present a system of finished concepts that can be repeated and systemized, but rather, he enters the active images of experience and from there performs language which can deepen the readers own explorations and questions. This is reflected in the poetic style which imbues each sentence of this book.